When the highest level of driving comfort is what you are looking for, choose this premium quality steering wheel by Sparco. Sparco steering wheels are fundamental driving aids that have been developed to satisfy best drivers in the world. Designed to improve driving precision, safety and comfort, these steering wheels guarantee the best grip and a reduction of vibrations transmitted to the driver, while their internal structure permit to reduce weight and increase lifespan. 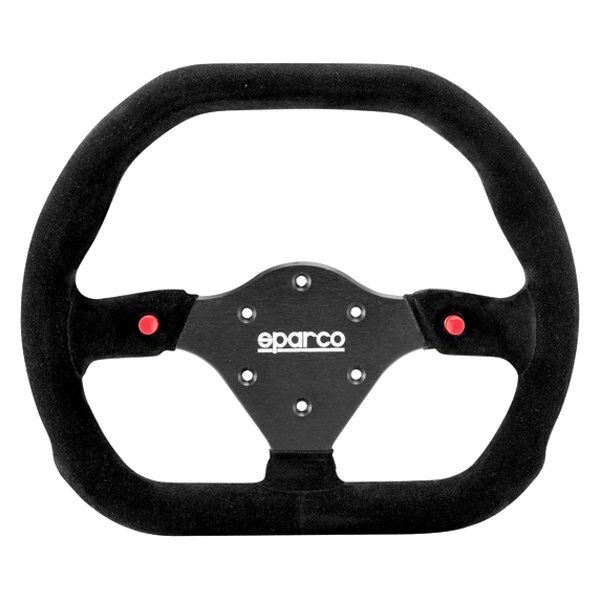 Developed especially for professional racers, this premium quality steering wheel by Sparco improves grip and comfort for driving precision. By delivering the best in both function and styling, this steering wheel ensures maximum control on the track while adding a personal touch to your vehicle’s interior. Constructed from premium quality materials, the product features a solid construction for reliable, long-lasting service life.